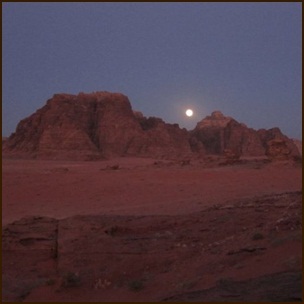 From Wadi Rum , you and your guide will drive to the Nabatean Temple, built in the first century BC. After admiring the Roman influenced architecture, you'll head to Lawrence Spring which offers a stunning view of the desert. You will then continue to the Red Sand Dunes, which you will have a chance to climb. After that you will go to see the Ancient Inscriptions left by trade caravans many centuries ago. Next you will go to the Lawrence House, before continuing your journey to the Little Bridge, which you can climb and take great pictures from the top. Then you will go to see the Khazali Canyon where you can walk inside to see the inscriptions. After that you will go to the Um Sabatah area where you will see the beautiful sunset. Here you will have a traditional Bedouin dinner cooked in the ground and spend the night. On the next morning, after breakfast, we will drive you back to Wadi Rum village. If you are more than 8 adult please contact us for a special price.